Friday | June 8 | 6:00 p.m.
* A very light snack will be served at 5:30 p.m.
Looted and Hidden investigates the cinematic and other archival treasures that Israel plundered from various Palestinian visual and research institutions in Beirut in the 1980s. The film follows four historical figures who are involved in the fate of these Palestinian archives. 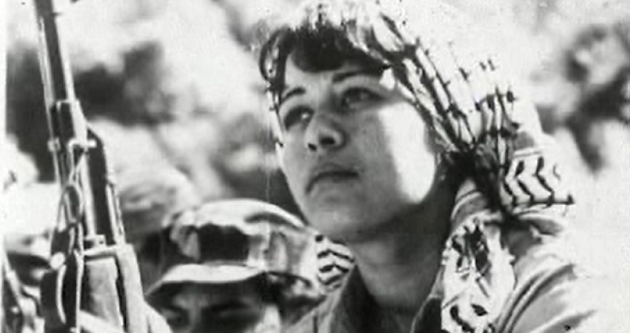 Based entirely on archival materials, extensive research, and interviews with the individuals it portrays, this film exposes, for the first time, Palestinian materials that were erased deliberately from the public sphere by Israel and were, for many years, presumed to have been “lost.” 2017, 45 min. Rona Sela is a curator and researcher of visual history and art. Her work focuses on the visual historiography of the Palestinian–Israeli conflict, Palestinian photography, Nakba images and Palestinian visual history in Israeli archives, colonial Zionist/Israeli photography, colonial Zionist/Israeli archives, human rights violation, plunder and looting of Palestinian archives and their subjugation to repressive colonial mechanisms, and on constructing alternative postcolonial mechanisms and archives. She also researches the development of alternative visual practices connected to civil society systems that reflect the Palestinian civil struggle over housing, planning, education, budgets and on exposing Palestinian history, narrative and the Arabic language, which were erased intentionally from the Israeli public sphere. She has published many books, catalogues and articles on these topics and curated numerous exhibitions. Looted & Hidden is her first film.